Those crazy frogs are at it again. Here's what they're saying ... and why (according to advanced etymological theories courtesy of yours truly). Leffler's Etymological Theory: "I'm so upset I feel like someone mashed me up … like a potato!" 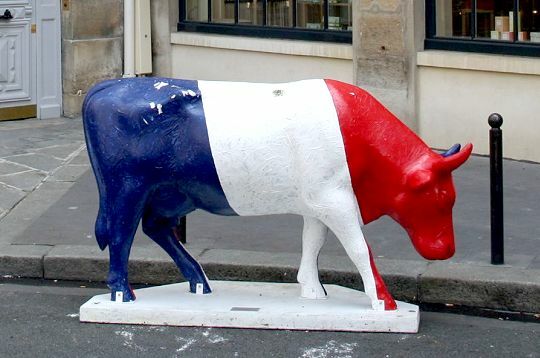 Crazy French Expression: Oh, la vache! Literal Meaning: Oh, the cow! Leffler's Etymological Theory: In France, cows are exciting animals. Thus, seeing a cow begets feelings of exclamation and bewilderment. Crazy French Expression: Il pleut comme vaches qui pissent. Meaning: It's raining cats and dogs/ It's pouring. Literal Meaning: It's raining like peeing cows. Leffler's Etymological Theory: French cows urinate with intensity. Crazy French Expression: Parler français comme une vache espagnole. Meaning: To murder the French language. Literal Meaning: To speak French like a Spanish cow. Crazy French Expression: Avoir la gueule de bois. Meaning: To have a hangover. Literal Meaning: To have a face of wood. Leffler's Etymological Theory: If you've ever had too much French wine, you know what they're talking about. Meaning: To have a frog in one's throat. Literal Meaning: To have a cat in one's throat. Leffler's Etymological Theory: In France, frogs legs are a delicacy so lots of people literally do have frogs in their throat all the time. Cats, however, are more rare. Or, perhaps, French people have larger throats so a tiny little frog won't make one hoarse – it takes a large feline. Crazy French Expression: Faire une galette. Literal Meaning: To make a pancake. Leffler's Etymological Theory: French people vomit on their pancakes. 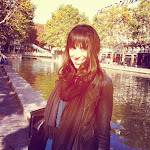 That's all for today, stay tuned for CRAZY FRENCH EXPRESSIONS: Part Deux. With Parts Trois, Quatre and maybe even Cinq to follow. Hey, Stallone just came out with another Rocky movie, eet eez posseebull. Malheureusement c'est vrai...je parle cette langue comme une vache espagnole! Just an addition - avoir la gueule de bois - la gueule is not just a face, it is the face of an animal, like a dog or wolf.